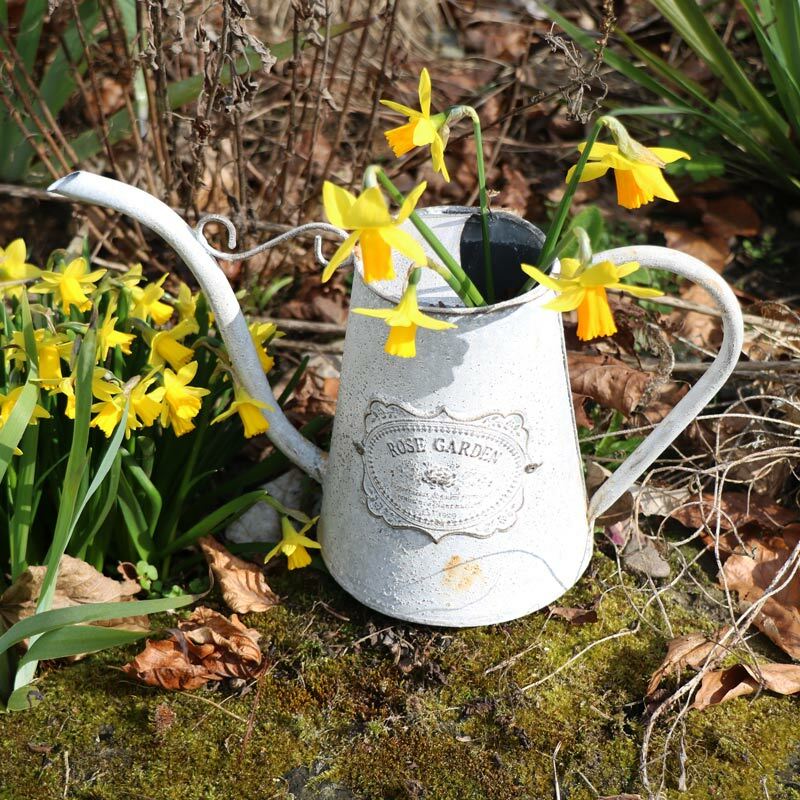 This little grey watering can, in a vintage style, will make a pretty floral display. Fill it with a flowers for the perfect decorative display, a great gift for mums and gardeners. This watering can will add some rustic charm to your home. Sit on the windowsill in the living room or kitchen with a bright bouquet of flowers to add a splash of colour. 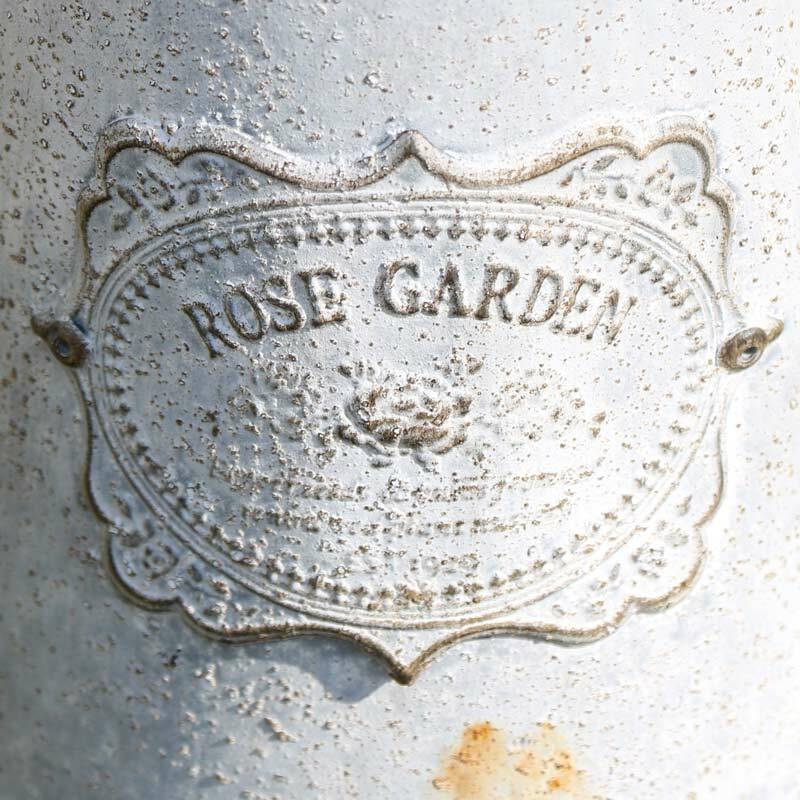 Embossed decoration on the front with the words Rose Garden. Used indoors or outdoors, this is a great gift idea for the garden enthusiast or mum's who love those pretty flower arrangements. 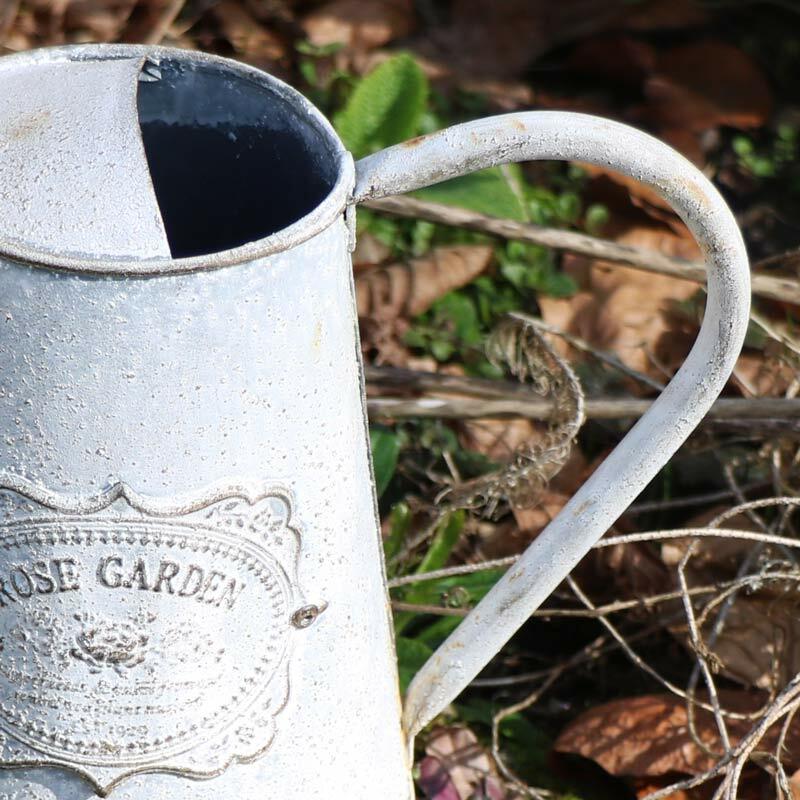 This little grey watering can, in a vintage style, will make a pretty floral display. Fill it with a flowers for the perfect decorative display, a great gift for mums and gardeners. 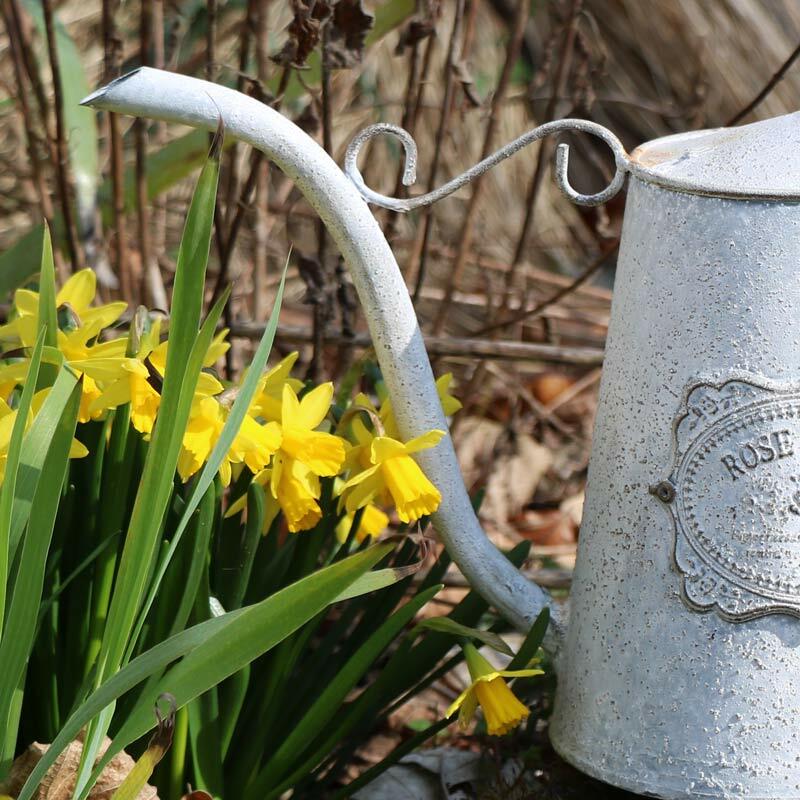 This watering can will add some rustic charm to your home. Sit on the windowsill in the living room or kitchen with a bright bouquet of flowers to add a splash of colour. Embossed decoration on the front with the words Rose Garden. Used indoors or outdoors, this is a great gift idea for the garden enthusiast or mum's who love those pretty flower arrangements. Made from metal in a distressed grey finish. Please note that this watering can is not watertight. Looking for that perfect gift for friends or family, look no furhter than our extensive range of gifts and home accessories. With something for everyone.